Christopher Brooks holds a MA in European history with emphasis on the history of ideas from the University of Maryland as well as a MEd from the University of New Hampshire in secondary education and with a concentration in philosophy education. Brooks also studied at the Holy Cross Greek Orthodox Seminary, Brookline, MA after receiving his BA in history from Gordon College. Brooks has taught philosophy, history and leadership at the high school, undergraduate and graduate level for twenty-three years. 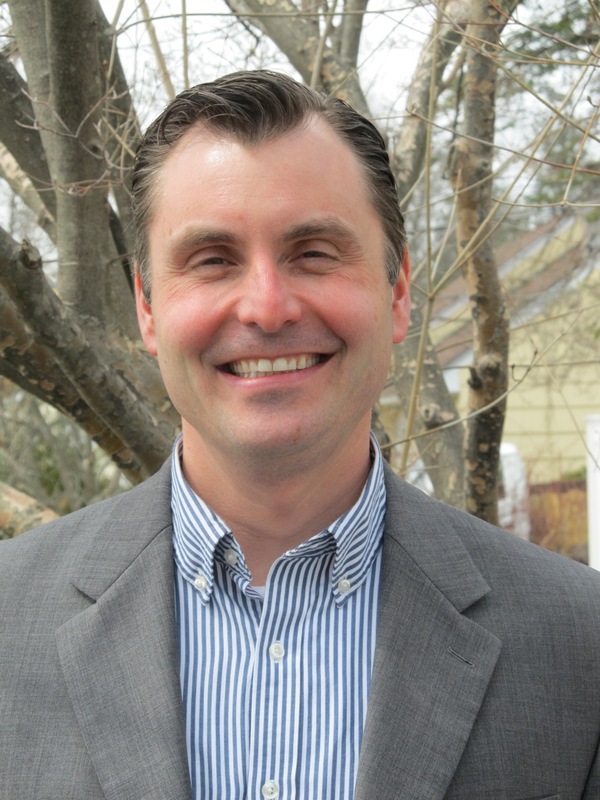 Brooks is currently a senior level social studies teacher at Souhegan High School in Amherst, NH as well as a professor of leadership at Northeastern University, Boston, MA. At Souhegan, he teach ethics to seniors in a unique college credit program associated with the University of New Orleans, New Orleans, LA. Since 2007, Brooks have taught courses at both the undergraduate and graduate level for Northeastern University. Nine years ago, Brooks entered another phase of his assignment with Northeastern, teaching ethical leadership at the Lahey Clinic and Hospital Complex in Burlington, MA. The summers of 2009 and 2011, Brooks joined the faculty of Swinburne University on Northeastern's behalf and taught a series of graduate courses in Melbourne, Victoria, Australia as a part of Northeastern’s Global Leadership Program. In 2011 while teaching in Australia, Brooks was a guest speaker on the topic of leadership, values and ethical theory at Swinburne University Graduate School of Entrepreneurship’s Leadership Conference held in downtown Melbourne. Each summer Brooks continues to teach in ethics and leadership here in Boston as part of the Global Leadership Exchange Program. In addition to his work at Northeastern, Brooks is also an affiliated professor of philosophy at the University of New Hampshire Durham and a professor of leadership at Granite State College, Concord, NH. Brooks also holds teaching and consulting positions at Merrimack College, North Andover, MA, Southern New Hampshire University, Manchester, NH, the University of New Orleans, New Orleans, LA and the New Hampshire Institute of Art, Manchester, NH. As of 2018, Brooks has also joined the staff of St. Anselm College's Center for Ethics in Business and Governance in Manchester, NH, working as philosophy, ethics and leadership educational coordinator. Beyond the classroom, Christopher Brooks has received many accolades for his work in the academic fields of ethics, philosophy and leadership education. In 2003, Brooks was awarded the Humanities Teacher of the Year Award in the state of New Hampshire as well as a New Hampshire Excellence in Education Award through the NH Humanities Council. In 2006, Brooks was a recipient of a New Hampshire State Humanities Grant to further citizenry and education throughout New Hampshire. Part of this initiative was to begin to train teachers and other professionals in New Hampshire to integrate philosophy and specifically ethics, into their workplace in order to strengthen citizenry and community bonds throughout the state. During this time, Brooks helped to found the Souhegan Ethics Forum at Souhegan High School, a senior student group who work on community and statewide initiatives that enhance philosophy, ethics and leadership opportunities for high school students. This group has raised and donated thousands of dollars to non-profit agencies and organizations as well as mentored students both in and out of the SAU #39. Nine years ago, Brooks in conjunction with his students at Souhegan, founded a new philosophy association for high school students called HYPE (Hosting Young Philosophy Enthusiasts), offering students from all over the state of New Hampshire, the opportunity to participate in an annual statewide educational conference held at the University of New Hampshire, Durham. As a result of this work, the Souhegan Ethics Forum Leadership Team won a major renewable grant through the University of New Hampshire, Durham, as well as many other organizations, to continue the development and expansion of HYPE. The Forum was also acknowledged by the NH University System as an instrumental leadership group, having had a significant impact on the educational culture of the state. In recognition of this achievement, Souhegan High School, the Ethics Forum and Brooks were awarded the 2014 New Hampshire Granite State Award. The fall of 2017, Brooks and the Souhegan Ethics Forum was honored with a national grant in conjunction with the New Hampshire Humanities through the Pulitzer Arts Foundation to continue work on developing new philosophy educational opportunities for New Hampshire’s high school students. This work will culminate in a documentary that will be produced by summer of 2018 highlighting the work of Brooks and the Souhegan Ethics Forum Leadership Team. This past year, Brooks was additionally honored by the NH Humanities Council as one of the Top Forty Humanities Heroes in the State of New Hampshire Over the Last Forty Years as well as the University of New Hampshire’s Innovations Division for his work in the field of philosophy and ethics education. Brooks resides in Nashua, NH with his wife, two children and his yellow Labrador Retriever Wally.